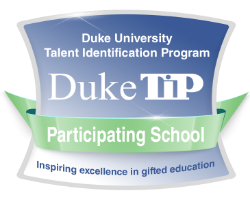 Duke University Talent Identification Program – Duke TIP identifies academically gifted students in a 16 state region and provides them with opportunities including out-of-level testing. It is the largest program of its kind. Students qualified by demonstrating exceptional academic talent on grade-level tests. Families can choose to enroll in Duke TIP. If they choose that option then students may also be enrolled in above-level testing. Students in grades 4-6 may take the PSAT 8/9 which is designed for 8th/9th graders. High scoring students are recognized and offered opportunities. Students qualified by demonstrating exceptional academic talent on grade-level tests. Families can choose to enroll in Duke TIP. If they choose that option then students may also be enrolled in above-level testing. Seventh graders may take the SAT or ACT which is designed for 11th/12th graders. High scoring students are recognized and offered opportunities. Mansfield ISD provides a Saturday seminar for our seventh grade Duke Scholars who are preparing for the SAT or ACT. For more information, please contact your campus GT specialist.